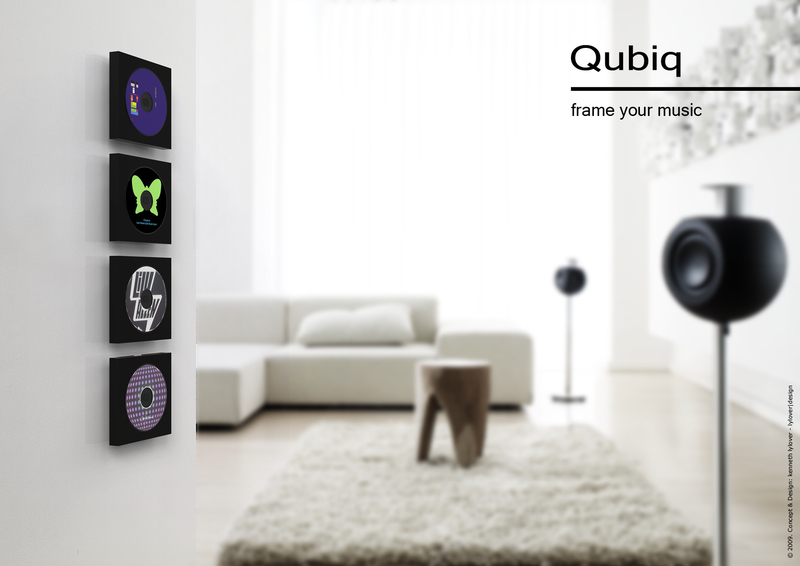 is an innovative wall decoration aswell as a way of storing and displaying your favourite music. 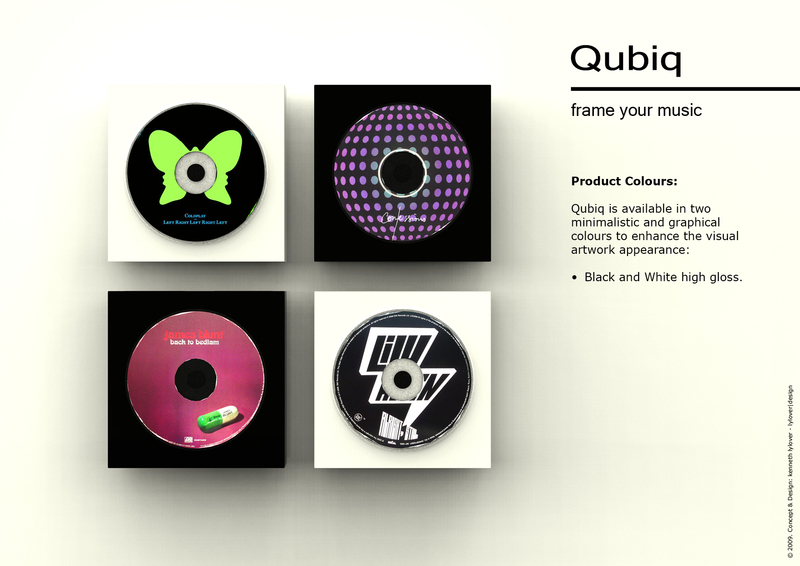 A simple and beautiful way for you to appreciate the cd’s pure beauty as an art on display on your wall. 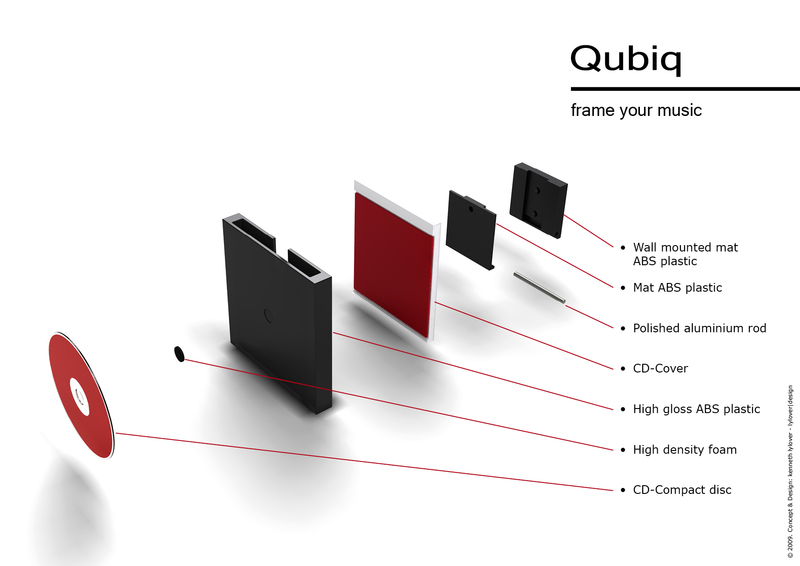 Available in 2 minimalistic colours, Black and White High-gloss ABS plastic, Qubiq emphasizes and frames the cd artwork and at the same time keeping the cd’s easy accessable mounted on the high-density foam. 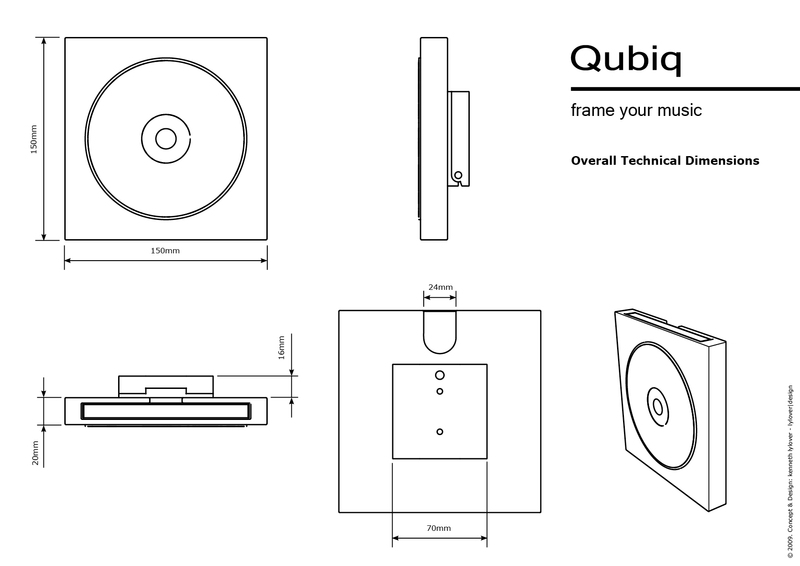 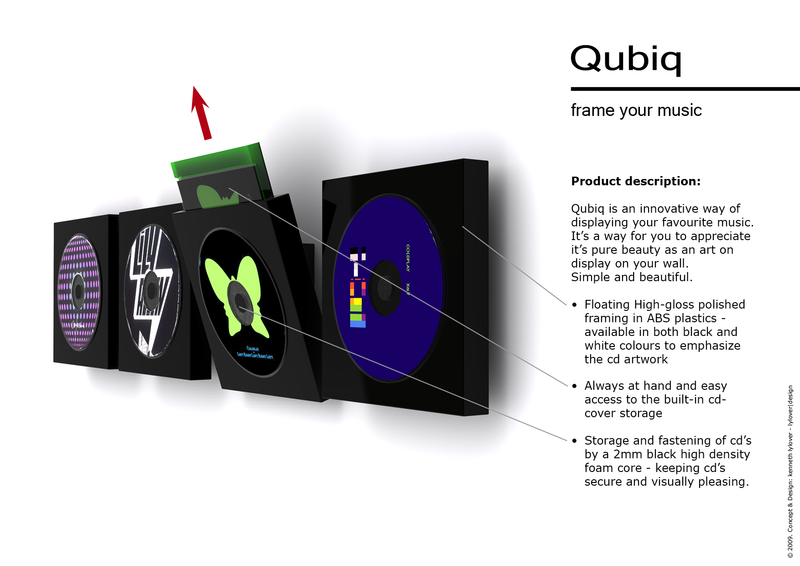 With an innovative and integrated cd-cover storage inside Qubiq you always has all the artist information easy at hand.